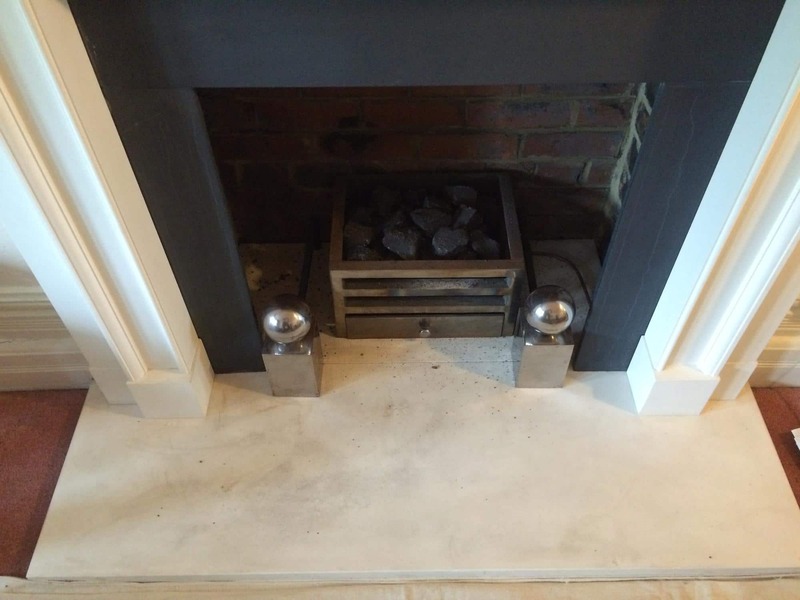 Deep clean of soot stains from a 10 year old fire place and colour enhancement to the surrounding slate and marble. 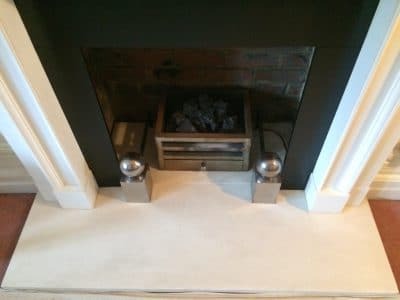 Fire place before the clean up job. 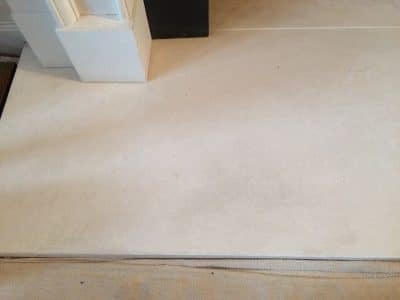 Most stains are obvious on the hearth. 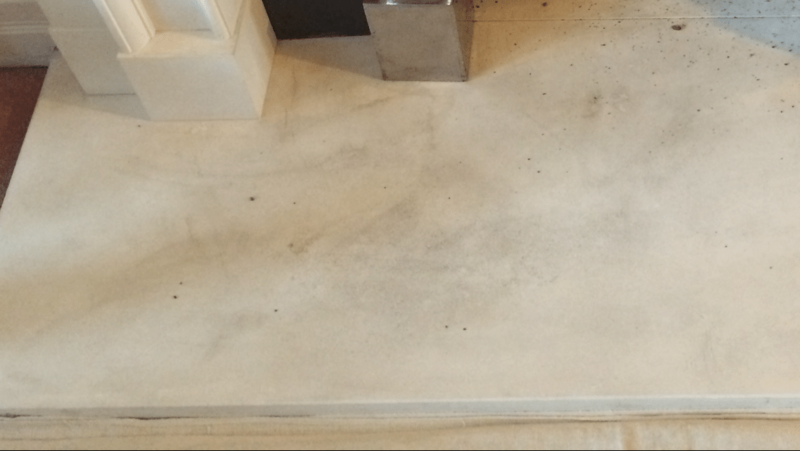 Hearth soot stains close up. General view after the clean up.